RIP XP – April 8, 2014. Are you ready? April 8, 2014. Businesses who are still running Windows XP on their systems need to mark this date, and circle it several times with a big red pen. If you’re wondering why then this is because that’s the date Microsoft is pulling support for XP. 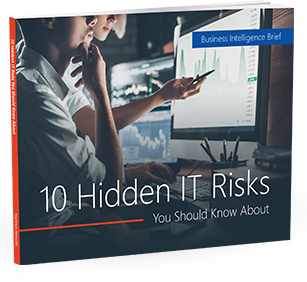 What this means for your business is a potentially increased security risks, no more support and ultimately the possibility of increased IT costs. Are you prepared for this? April 2014 is rapidly approaching and it would be a good idea to prepare your organization for the end of XP. Here are four questions you can ask yourself in order to help you get your business ready, with our suggestion for the best way to go about upgrading. 1. What systems use XP? This should be the first question you ask yourself. You should take some time and look at all laptops and desktops currently in use, and in storage (if any). Take note of how many of these systems use XP. You should also look at other systems like Point of Sale, alarms, and basically anything with an operating system. If these run XP, take note, because you will need to make replacements. 2. Do we need Windows 7 or 8? No matter what you do, you are going to have to upgrade to a new operating system. There are two viable options – Windows 7 or Windows 8. Despite what Microsoft’s marketing machine will tell you, Windows 8 may not be the best option for your business. This is especially true for businesses still running XP. The reason for this is because if you are still running XP then your systems are likely older, and may not be able to run Windows 8 efficiently. Another reason to consider Windows 7 is that it is an older OS, but still supported by Microsoft and will continue to be so until at least 2015 for mainstream support and 2020 for extended support. For information on what both types of support entail, please check out the table in part three of Microsoft’s Lifecycle policy page. What this means for businesses is that you will have essential support for another seven years at least. The final reason to still consider Windows 7 is that it is generally easier to update to from XP, and it also has a larger market share, with over 45% of Windows systems are running Windows 7. However, if you are buying completely new systems, Windows 8 could be more viable. 3. Do we need to update hardware and software? Chances are high that if you use Windows XP, there are a number of important/essential programs that your business relies on. You should take stock of these programs and systems and find out if they are supported by and will run on Windows 7. For hardware, you should check and see that this is compatible with, and meets the minimum requirements for Windows 7. If hardware doesn’t meet the requirements, even if you are choosing to upgrade to Windows 8 (which requires slightly more computing power), you will need to upgrade your systems and hardware. If you determine that upgrades are needed, you should develop an upgrade plan that will minimize downtime and disruptions, while having all upgrades done before April. 4. What about Microsoft Office? Microsoft Office 2013 was released last year, and what this means for companies using older versions of Office, like 2007 and 2003, is that support will be soon ending. In other words, it is time to upgrade Office as well. When Microsoft pulls support for Office 2007, you can bet that there will be an increase in the potential of security breaches and maybe even a lack of document support. If you are running an older version of Office, it will be worth upgrading to at least Word 2010, or even Office 365. Again, you will need to be sure that your systems can support any changes. What is the best way to go about upgrading my systems? Microsoft ending support for XP may not seem like a big issue, after all, many users should be able to simply install Windows 7 or 8 and be on their way. But, many businesses have other systems, like servers, networks, computers, etc. that they also need to consider. This can quickly turn a seemingly easy update into a never ending and costly nightmare. This is why we recommend contacting an IT partner like us as soon as possible. We can be a big help in not only preparing your systems, but also helping you find the system that will best fit into your organization for the future at a budget you can afford. If you are still running XP, please contact us today in order to be ready for the cessation of service in less than a year from now.